Hi! I'm Annie Hoover, associate broker with ERA Reardon Realty in Brooklyn, Michigan located in the heart of the Irish Hills. I am a dedicated full time REALTOR specializing in Irish Hills Real Estate and lake homes. I am committed to RESULTS for buyers and sellers. Recipient of the MASTER REALTOR AWARD, one of only five REALTORS to ever receive this designation. I have been the #1 ERA agent in the State of Michigan 4 years running and have been awarded the ERA Leadership Circle award 3 years in a row. BUYERS. Each of the 60+ lakes in the Irish Hills region has its own unique personality. My specialty is discerning your unique desires and needs. 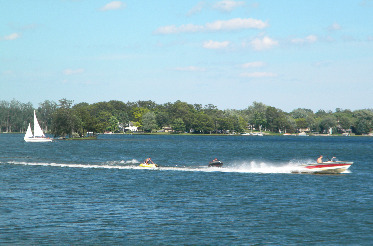 Then I use my knowledge of each of the lakes and matching them up to guide you to your perfect lakefront home. You can rely on me to equip you with all the information you need to make this important decision, one you will be happy about for years to come. My years of experience in selling real estate in the Irish Hills will allow me to give you specific information regarding lakes, acreage, depths, usage, docking, association info and much more. Personal. I live with my husband of 25 years on Lake Columbia. We have two daughters and 2 dogs Tobi, a Cavalier King Charles and Shiloh a rescue dog that is a blond longhair Dachshund. Our oldest Amelia recently graduated from University of Michigan with honors in Political Sciense and International Studies and has a great interest and appreciation of literature and the arts. And Abbi, a student at University of North Carolina Wilmington studying marketing. Both my husband and I were born and raised in Michigan.